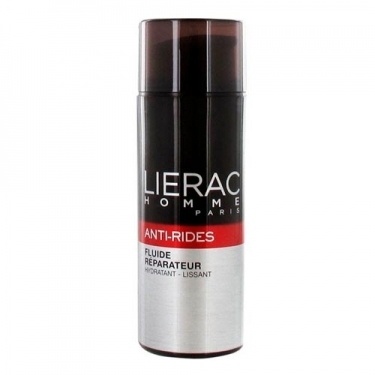 DESCRIPTION: Homme Anti-Rides Fluide Réparateur from Lierac is a daily concentrated anti-wrinkle and moisturizing care for men's skin. Ultraconcentrated in reshaping active components, this vitamin-releasing fluid restores collagen production and epidermal repair systems to visibly reduce signs of aging (wrinkles and wrinkles). 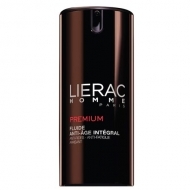 Smooth and perfectly hydrated, the skin regains its elasticity and tone. Not greasy. Non sticky. Non-comedogenic.